P.F. 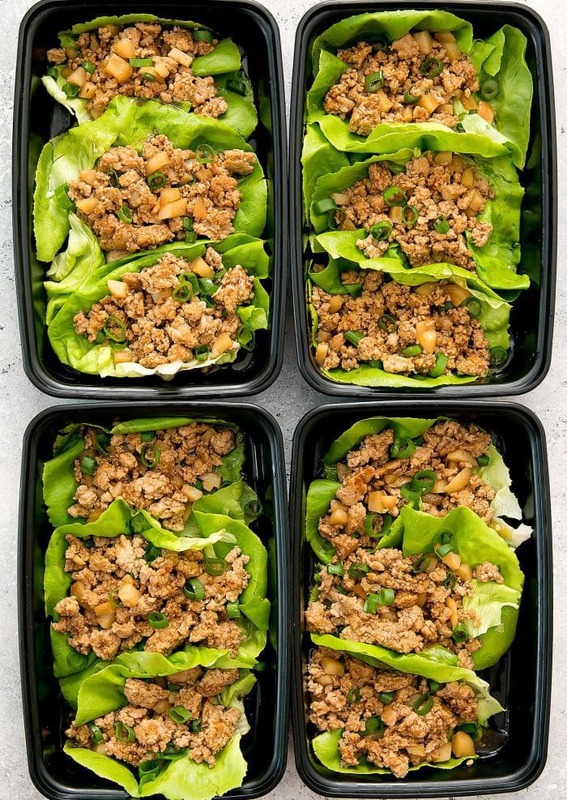 Chang’s-style chicken lettuce wraps are a low carb, easy and delicious meal that can be made ahead of time for weekly meal prep. 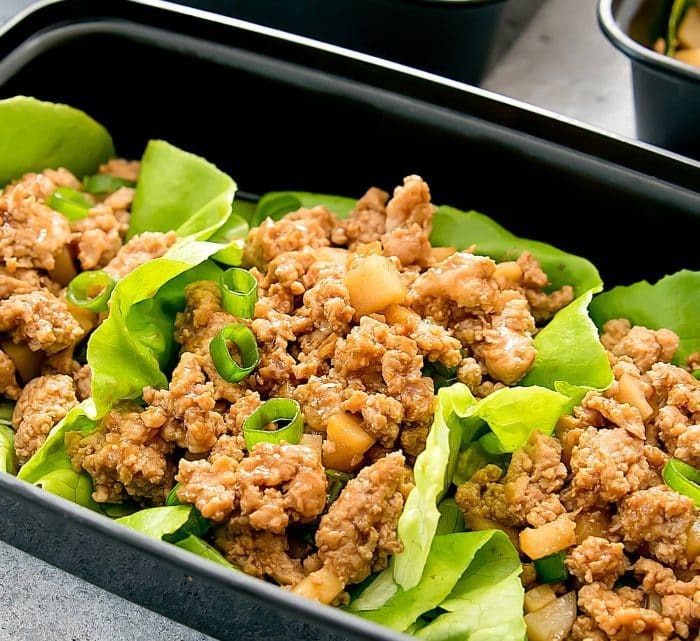 I love lettuce wraps, especially in the summer when I’m craving something lighter. So far we’ve done fajita lettuce wraps, chicken caesar lettuce wraps, and chicken lettuce wraps. 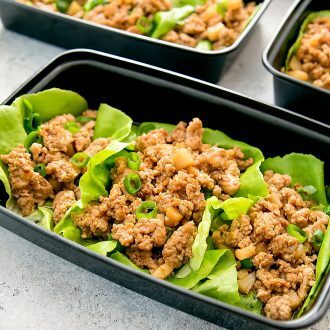 We’ve especially been eating a lot of chicken lettuce wraps after I came up with my copycat version of P.F. Chang’s lettuce wraps. 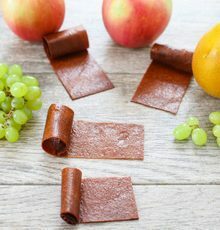 When you store these, you should store the lettuce and filling separately. That way you can remove your lettuce leaves and reheat just the filling. I photographed the lettuce wraps already assembled because otherwise they don’t really look quite as nice when it’s just a pile of filling and a separate pile of leaves. 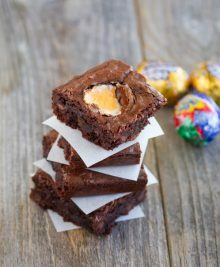 It also gave me an excuse to eat quite a few when I was done with my photos. This is a lunch I definitely look forward to! 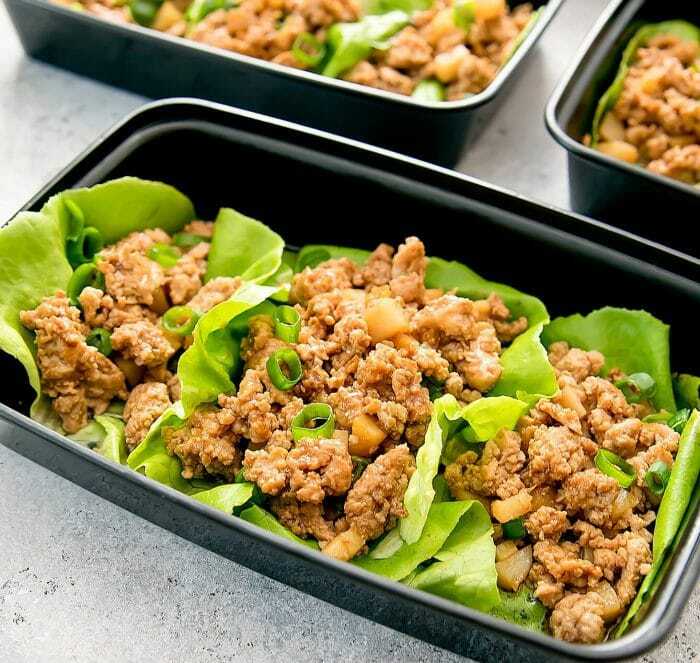 P. F Chang's inspired lettuce wraps are a low carb and delicious weekly meal prep. In a small bowl, add all sauce ingredients and whisk together. In a large skillet, add 1 tbsp sesame oil and bring to medium high heat. Add in ground chicken and cook and stir until crumbled and browned. Add in water chestnuts and mushrooms. Reduce heat to medium. 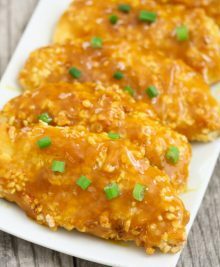 Pour in sauce and stir into ingredients until ingredients are evenly coated in sauce. Cover skillet with lid to cook a few minutes and allow ingredients to absorb sauce. Remove lid, taste and make any adjustments as needed. If you prefer a little sweeter, you can add a little bit of brown sugar. If you prefer saltier, you can add a little more soy sauce. When finished, remove from heat. Stack a few lettuce leaves on one side of your meal prep container. Place some scallions on the top lettuce leaf. Add chicken filling to the other side of your container. Seal containers and store in fridge. When ready to eat, remove stack of lettuce leaves and scallions. Heat the filling. Then assemble your lettuce wraps. You can omit the mushrooms if you don't like the flavor of shiitake mushrooms but the PF Chang's version does use them. You can also substitute the shallot with 1/4 of a small onion. Oh man, how I miss PFChang while reading through your recipe ;). 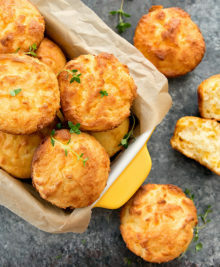 Look delicious. Can you store in freezer?